While I'm at it I might as well share Oscar's look alike too. I think pretty much any baby seal looks like Oscar. LOL cute comparison as well! Aww, he sure does with his paws flopped out like that! how funny! 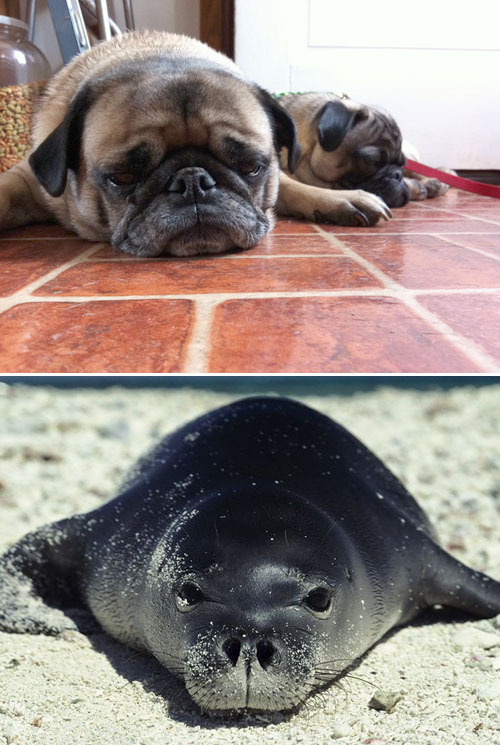 We have a pug too and we ALWAYS compare them to baby seals. So true and so cute!